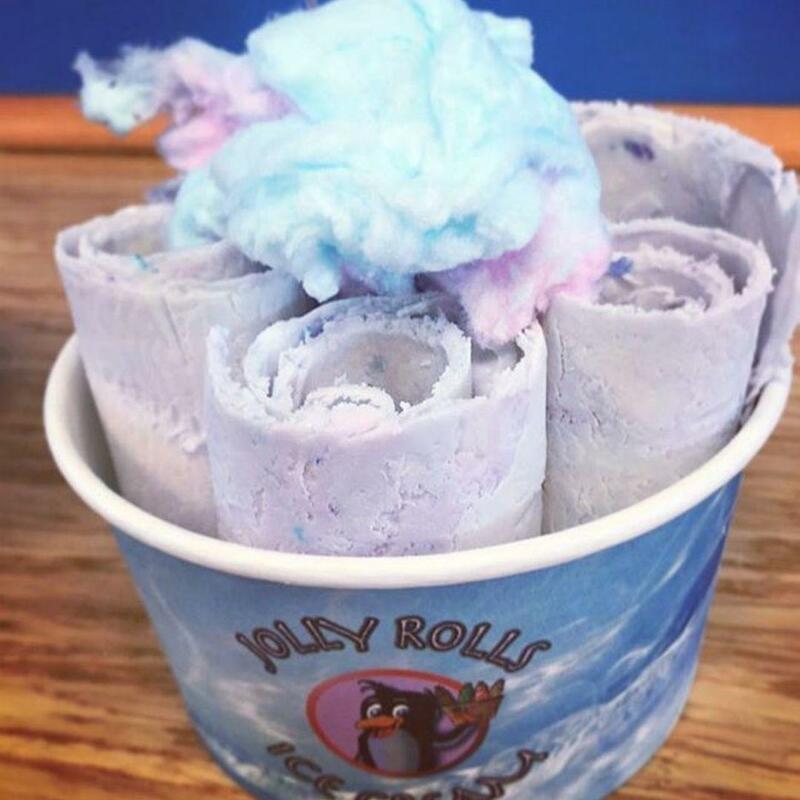 Jolly Rolls hand rolls your ice cream right in front of you. 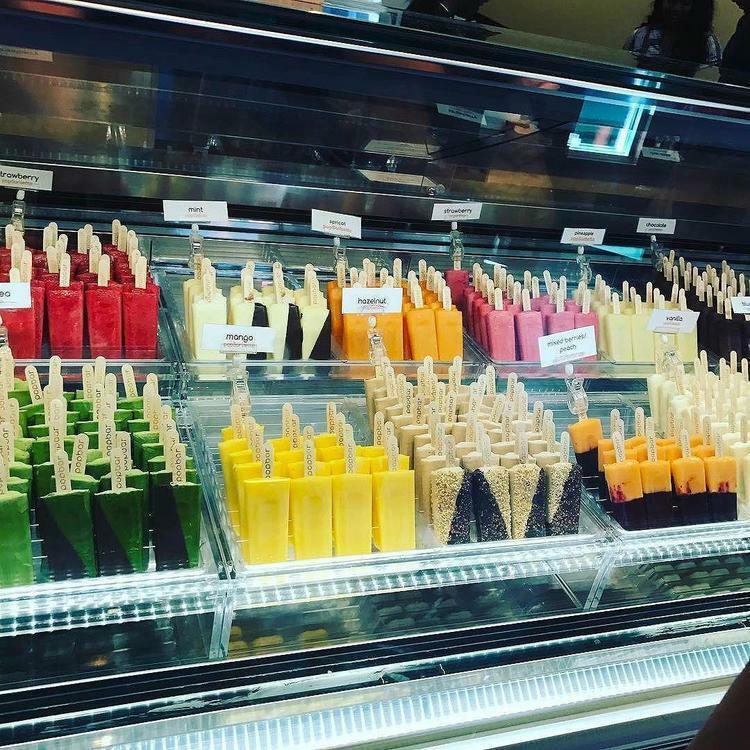 Choose from one of their 21 signature flavors or create your own concoction by choosing from their ingredients and enjoy. The whole process takes less than two minutes. 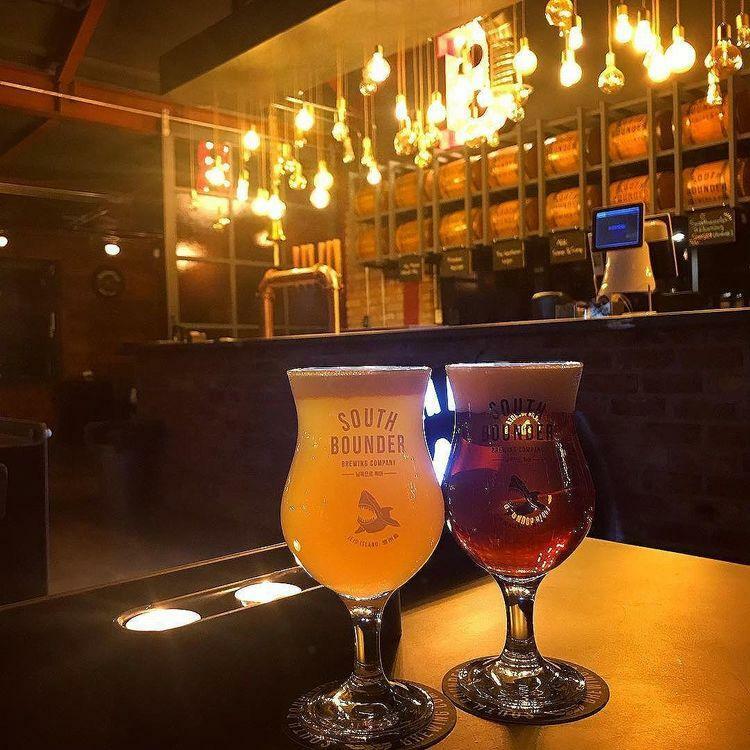 Want to know how it's made? Check out this video on making Apple Pie Ice Cream.